Donald Trump’s former lawyer John Dowd advised the president against being interviewed by special counsel Robert Mueller because he feared that the president was incapable of pulling it off, Dowd says on a new podcast. Dowd said Tuesday on “The Investigation” podcast on ABC News Radio when asked why he did not recommend that Trump submit to in-person questions from Mueller. Dowd noted that Trump and the rest of the president’s legal team, including Rudy Giuliani and Jay Sekulow, ended up following his advice, by answering questions from Mueller in writing, as opposed to in person. “They never disagreed with me,” said Dowd, who resigned last March as Trump’s lead lawyer for Mueller’s investigation into Russian interference in the 2016 presidential election. The special counsel also is investigating possible collusion by Trump’s campaign in that interference, along with possible obstruction of justice by the president himself. Dowd suggested that if Trump spoke to Mueller’s team in person he would be putting himself at risk of the special counsel alleging he made false statements. “Because Flynn, Papadopoulos, Gates,,” Dowd said, referring to former National Security Advisor Michael Flynn, and ex-Trump campaign advisors George Papadopoulos and Rick Gates, all of whom have pleaded guilty to lying to federal investigators. “I mean, look what Bob’s doing, what I call nickel-dime process crimes,” Dowd said. Trump’s current legal team in November gave Mueller’s office written responses from Trump to questions by the special counsel. The White House, Giuliani and a spokesman for Mueller did not immediately respond to a request for comment from CNBC. The special counsel’s office declined to comment. 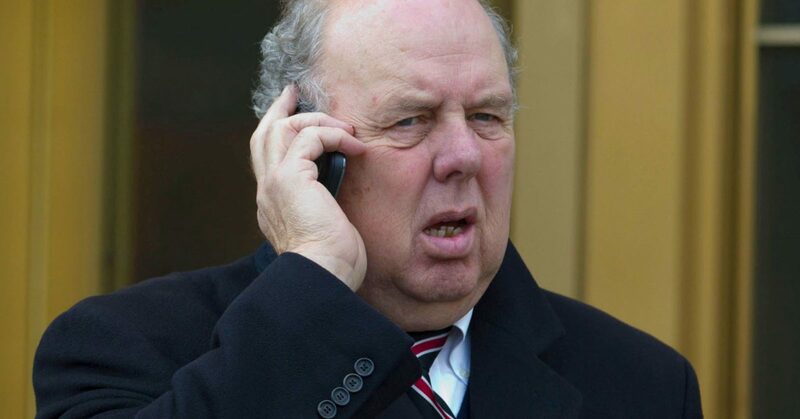 Dowd told ABC Radio that he does not believe that anything will be made public from any eventual report by Mueller about Trump – other than a statement that the investigation is concluded. There has been speculation that Mueller will submit a report soon to the Justice Department, and debate over how much or how little of such a report would become public. Trump has repeatedly denied any wrongdoing by himself or his campaign. And he has railed against Mueller’s probe.